Bursitis is when the fluid-filled sacs – called bursa – between your bones, muscles and tendons become inflamed. It most commonly occurs in the shoulders, elbows and hips and can cause a great amount of pain. However, with proper treatment, it usually goes away within a few weeks. Another option is to see a physical therapist, who can teach you stretching and strengthening exercises that can lessen the pain. 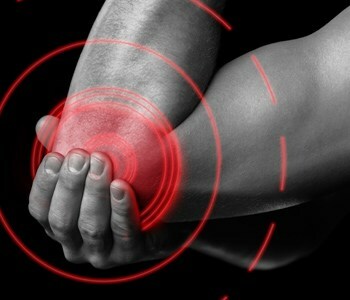 To avoid bursitis, remember to stretch and warm up before exercising and cool down afterward.